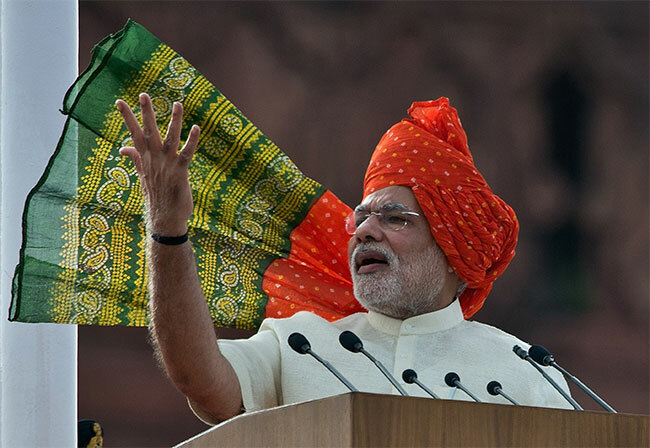 HomeNationalPM’s Red Fort Speech: Will it Touch Upon Economic Reforms? PM’s Red Fort Speech: Will it Touch Upon Economic Reforms? Prime Minister Narendra Modi’s speech tomorrow from the historic Red Fort in Delhi will be closely watched by analysts looking for a sign of how he plans to handle his economic reforms agenda, which has been severely bruised in the Parliament session that ended yesterday.Crucial legislation remains stuck in Parliament because of a bitter uproar from the opposition Congress which wants the PM to remove three of his colleagues, including Foreign Minister Sushma Swaraj for helping tainted cricket tycoon Lalit Modi get urgent travel papers last year.The Congress habitually employed noisy protests every day, forcing repeated adjournments, which meant that a string of business-friendly reforms to attract foreign investment and revive the economy have been stalled. At the top of the list is the landmark tax reform, the Goods and Services Tax (GST), which creates a national sales tax to replace a complicated and chaotic web of levies that have frustrated industry. The opposition, sources said, was keen to prevent the passage of the GST to deprive the PM of announcing a major breakthrough in his Independence Day speech tomorrow. Analysts hope the PM’s address will indicate his plans for reviving the economy. 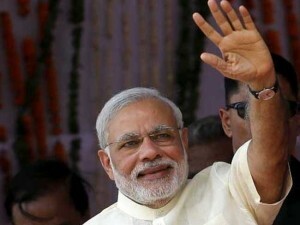 “Give us a detailed report card on the overabundance of schemes that have been announced since May 2014,” commentator Gurcharan Das wrote in the Times of India this week.”PM Modi promised he would quickly change the economy and get GDP growth back on track,” said Satish Misra, a senior fellow at the Observer Research Foundation think tank in New Delhi. “People now have a lot of doubt about that. He promised more than he could deliver,” he told news agency AFP.The PM and his party, the BJP, have accused the Congress of willingly damaging the country’s economic growth, a charge they will highlight through a nationwide campaign.The government is also likely to call a special session of Parliament to debate and vote on the GST reform, which was cleared by the Lok Sabha, but needs the opposition’s backing in the Rajya Sabha, where the government is in a minority. However, unless the Congress agrees to suspend its protests for a discussion on the reform, the session would be pointless. A major revision to land laws to make it easier for industry to acquire farmland has already been shelved by the government after the Congress and other opposition parties succeeded in portraying it as “anti-farmer”.Moody’s and Fitch unit BMI Research have warned such problems in implementing big-ticket reforms are aggravating investor concerns.RBI Governor Raghuram Rajan also called for clarity on the stalled bills, telling Bloomberg TV that legislative action “would send a strong message to the outside that India is still on the move”.The government defends its performance, saying foreign direct investment rose to $31 billion last financial year. The economy grew 7.5 percent for the first three months of this year, outperforming China’s. But experts warn reforms are needed to at least maintain that pace to create jobs for India’s millions of young people. Tags:PM's Red Fort Speech: Will it Touch Upon Economic Reforms?